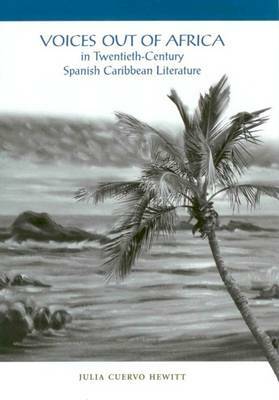 This book offers a richly detailed panorama of contemporary Spanish Caribbean literature and culture, as well as a compelling theoretical exploration of how authors of the Spanish Caribbean (Cuba, Santo Domingo, and Puerto Rico) have incorporated the cultural legacy of Africa into their narrative fictions. The book offers an in-depth analysis of cultural and religious expressions associated with Africa in the Caribbean and of the complex codification associated with the representation of those expressions. "Voices Out of Africa" explores how literary representations of Africa in the Spanish Caribbean construct a self-referential discourse about Africa in a Caribbean landscape, and examines how Afro-Caribbean practices, rituals, local memories, and belief systems inform such discourse. It is a textual journey through the multiple layers of the region's cultural expressions. It is also a work of scholarship and theory accessible to scholars and to interested laypersons in Afro-Caribbean lore and culture. Julia Cuervo Hewitt is Associate Professor of Spanish and Portuguese at Pennsylvania State University.